In a world full of negativity and problems it’s easy to want to find an alternative world full of happiness and colour. Nottingham’s Rock City was blessed with this when Flaming Lips came to town. Walking along the quote seeing all sort of psychedelic colours and outfits (including a unicorn head) and a sign which greeted all the guests saying “Please be aware, strobe lighting and latex balloons are in use throughout tonight’s show. Thank you.” You knew tonight was going to be something more than special, stepping into a parallel world. 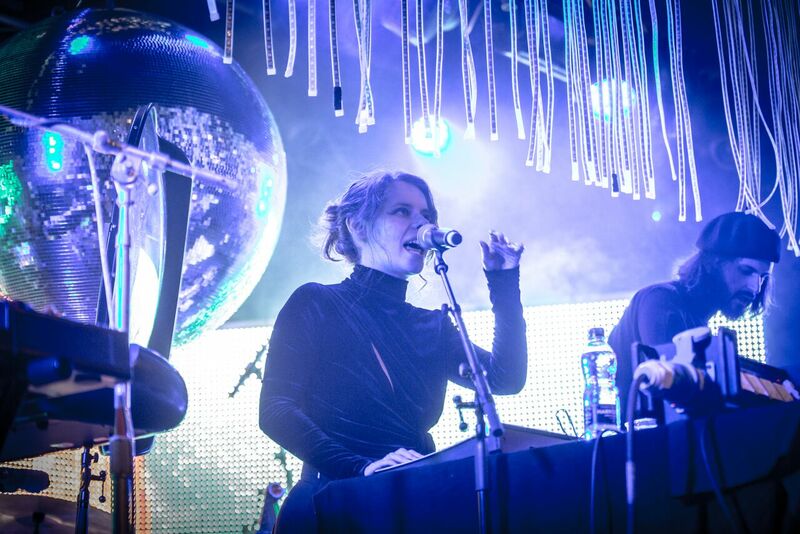 Happy Meals opened the concert with an electric vibe to the evening set over a blue haze. With the odd golden sparkly glistening through from the very crowed stage set. 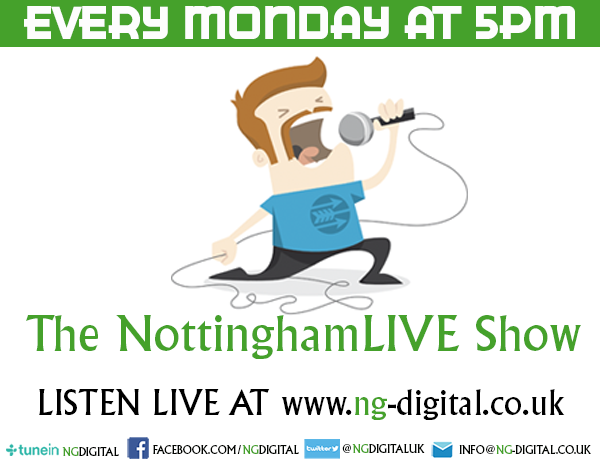 Melodic vocals coming from lead singer Suzi, the crowd were really getting a hint of what was to come. Then it was time, Flaming Lips came to the stage all dressed up in all sorts of fancy dress attire. After a longer than average intro, the band burst into ‘Race for the Prize’. The stage exploded with CO2 cannons, Confetti and massive balloons as Rock City was filled with colour, excitement and a sea of smiles. And it didn’t stop, for the whole song the colour kept flowing. 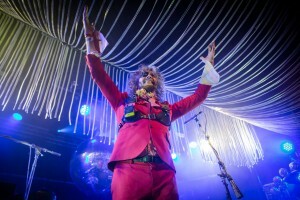 For their 2nd number, Wayne Coyne (lead singer emerged in the crowd joined by a large inflatable pink robot, with large balloon lets spelling out “F*** Yeah Nottingham” – As the coloured balloons filled the room, they were joined by large letters and a oversized pink robot. The band continued to play ‘Yoshimi Battles the Pink Robots’ and the display of experimental psychedelic rock music continued. 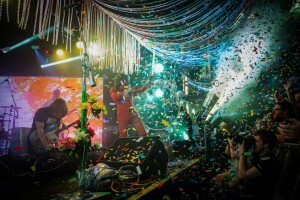 This was some start to the show, with more colours and energy than a Coldplay concert all jam packed into Rock City, Flaming Lips had to take it one step further, for their third song ‘There Should Be Unicorns’. You wouldn’t believe what Coyne rode round the entire crowd on…. yes you guessed it a unicorn. I couldn’t believe my eyes, I had to pinch myself. The amount of passion and thought that goes into a Flaming Lips concert is amazing! They really do create something magical. They continued to play the 12 song set with giant Zorb Balls appearing, more confetti and finally an encore of ‘Do You Realize??’. Sadly this is where the night of euphoric madness had to end, and everyone had to go back to their normal lives. After a show over in Belgium, the band are back in the UK on 10th September at Festival No6 in Wales. Followed by a return to the US for the rest of their tour.